Rubio's communications director made the comments on CNN. Marco Rubio's campaign has a new strategy to block Donald Trump from winning Ohio's coveted, winner-take-all delegate haul: urging Ohio Republicans to vote for their governor John Kasich. At a press conference in West Palm Beach, Florida, Rubio admitted, "John Kasich has a better chance of winning Ohio than I do." Rubio continued, "If a voter in Ohio is motivated by stopping Donald Trump and comes to the conclusion that John Kasich is the only one that can beat him there, then I expect that’s the decision they’ll make." "I never talked to John Kasich about this," Rubio added. Kasich's spokesman, Chris Schrimpf, said he "agrees with the Rubio campaign that the best chance to beat Donald Trump in Ohio is by voting for John Kasich, and in that spirit, Sen. Rubio should immediately tell his Super PAC to stop attacking the governor." Kasich’s chief strategist John Weaver also touted the Florida senator's strategy on Twitter. Now if Marco & his team would "urge" their special interest super pac to pull the $1.5 million in distorted attack ads against @johnkasich. Rubio’s communications director Alex Conant backed up Rubio's argument earlier today. 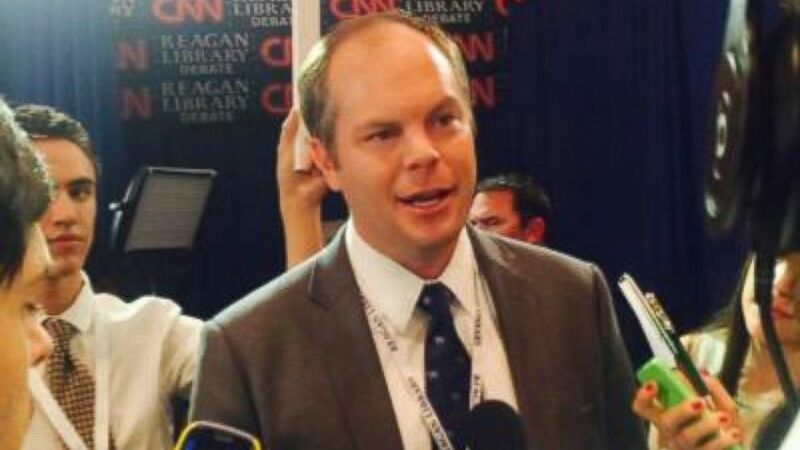 (Alex Conant/Twitter) Communications director for Marco Rubio, Alex Conant is see in this undated Twitter photo. For Marco Rubio, Is It Too Late to Be the Underdog? Recent polling shows a tight race in Ohio between Kasich and Trump, while Trump holds a double-digit lead over Rubio in Florida polling. Ohio and Florida hold their primaries on Tuesday, March 15. ABC's BEN GITTLESON contributed to this report.